This pine coffee table celebrates midcentury charm with its splayed cone legs and clean-lined gallery top. A warm finish completes the look, protecting the wood's expressive grain. This masterful coffee table brings sophistication and structure to any space with triangular framework, slanted support beams, and a neutral gray finish. A glass inset rests above, allowing guests to marvel at its impressive craftsmanship from all angles. A wonderfully modern addition to the living space or office, this coffee table's sleek white surface appears to float in space above four angled glass legs. Finished in silver, this iron coffee table has a stylized base reminiscent of bamboo and a sleek, rectangular top made of crystal-clear glass. A modern piece with rustic flair, this minimalist coffee table features a thick wooden top balanced by chic metal legs in a black finish. 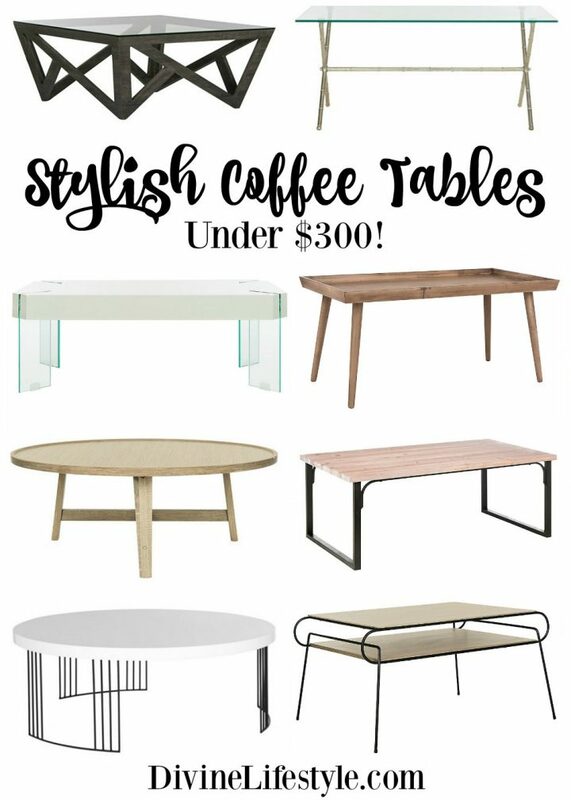 Simple but chic, this versatile table will fit in seamlessly with all styles of decor. At less than four feet long, it's perfect for a smaller living room or den. Influenced by Italian Modernism, this coffee table is designed with a sleek iron frame that's finished in black and two expressive surfaces that show off wood-grain details. With its steel gray finish, traditional spindle legs, and spacious bottom shelf, this pine coffee table makes a wonderful addition to a living room or study. Beautifully designed with an architectural base and gallery-rimmed top, this coffee table embraces a minimalist look that still delivers on style. Update your space with this contemporary coffee table that features a sleek silver frame and a crisp white top. With a clean-lined design and versatile palette, it can go with a variety of decor styles. This round coffee table features a chic palette with its black iron base and neutral gray top that will infuse any space with contemporary style.